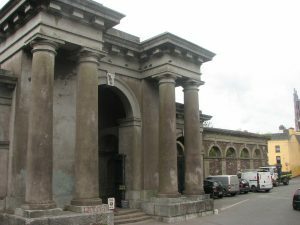 Alexander was the oldest son of David, and started out in his father’s trade in Wick, but after marrying Christian Bremner in 1826 and having five children he moved to Queenstown, Cork in southern Ireland. 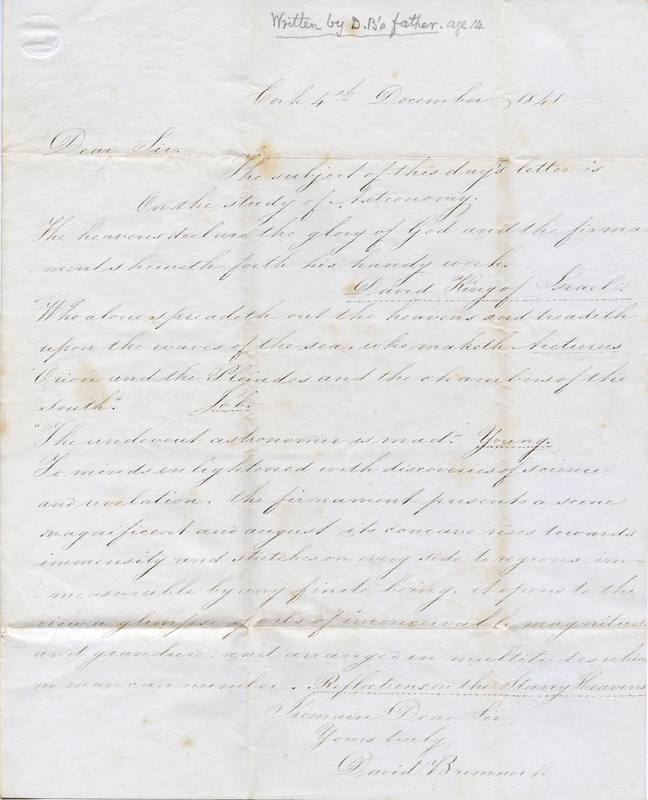 Alexander and Christian (or Christina—both spellings were used) had five children. Oldest was son David, born in 1827. 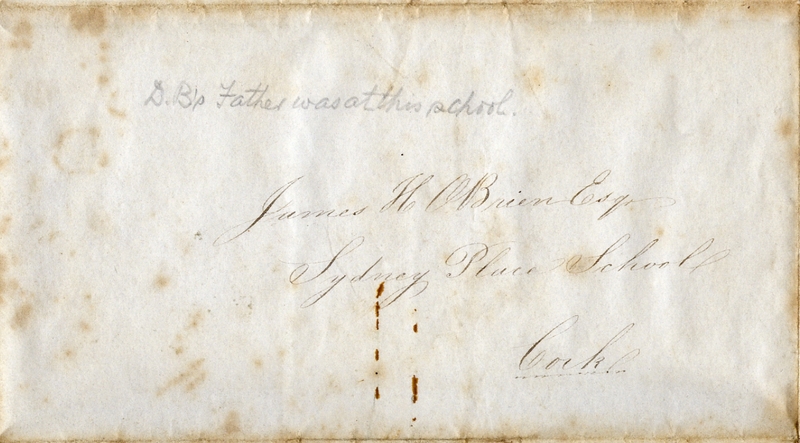 An astonishingly neat piece of handwriting survives, written in copperplate script by him in 1841 for his school teacher, a James H. O’Brien, of Sydney Place School, Cork. Sister Catherine was three years his junior, followed by Donald (three years younger still) and Sarah (three years again)—all in Wick. 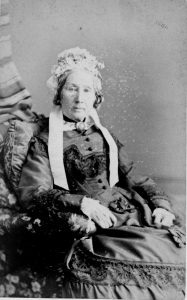 Finally Christina was born in 1840, and in 1870 married a Dennis A. M. McCarthy, a Royal Naval Surgeon. 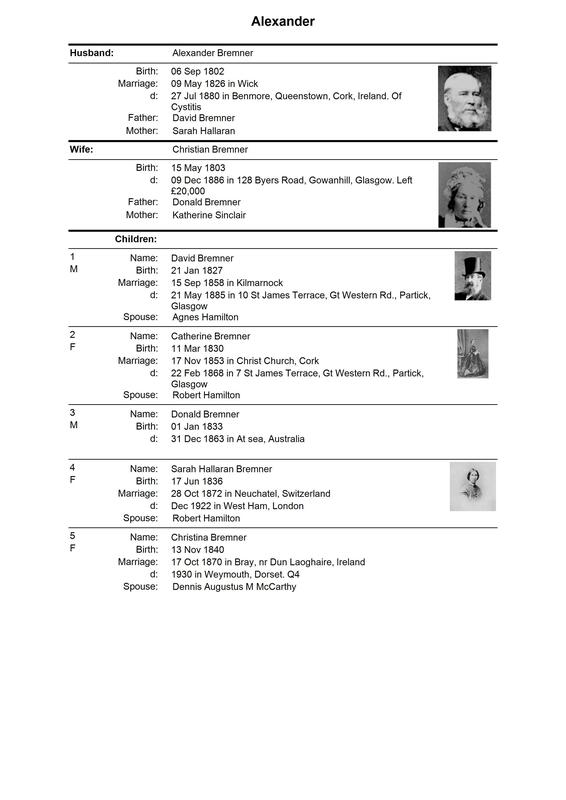 Her birth doesn’t appear in the Scottish records, while Sarah’s in 1839 does, so we assume the family moved to Cork in between. 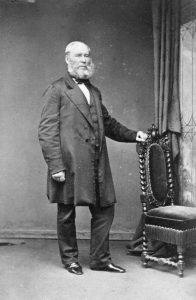 Dennis was a physician in Stirling in 1881, a general practitioner in Bridport, Dorset in 1891. They had two children who never left home, and never married, the son supporting his mother and sister until she died in 1930. 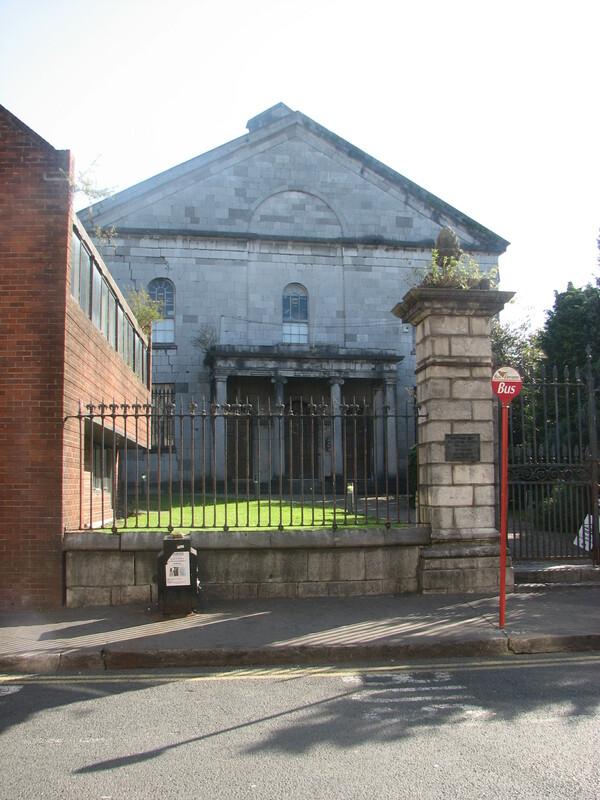 The reasons for Alexander’s move can only be guessed at, but he was identified as a ‘junior fish curer’ at his wedding, so whether it was a falling-out with his father, or a dislike of the smell of fish, or whether an opportunity arose through his mother who came from Cork, it’s not possible to determine. 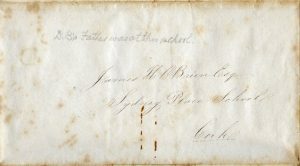 At any rate, he moved—probably between 1839 and 1840—and by 1845 the Post Office register lists him as Merchant at 2 Roche’s Street Store, Lower George’s Street, Cork . Alexander was a butter merchant. 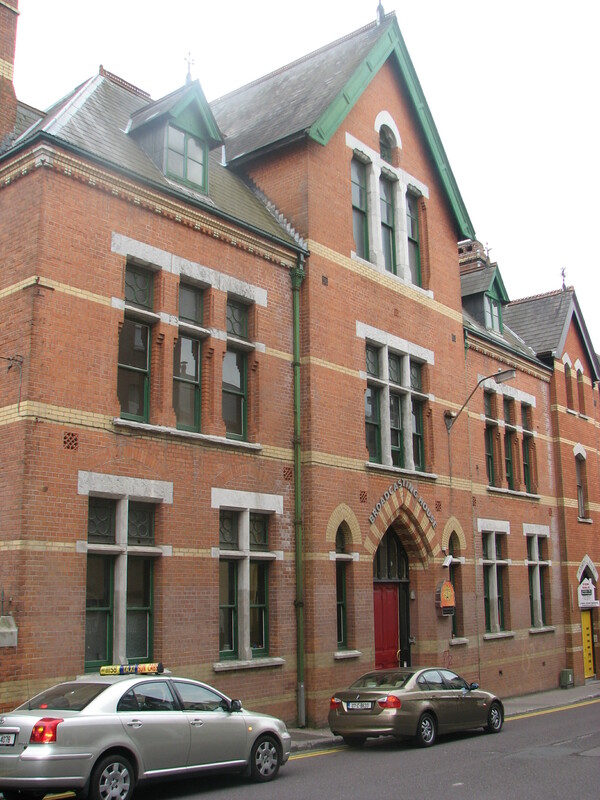 At that time Ireland exported about 70 per cent of its butter, and most of it came to Cork in barrels, or firkins, for grading, marking and export. 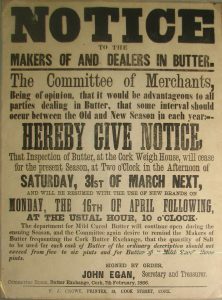 There was an impressive Butter Exchange in Cork (it still exists, together with a museum) built in 1849, and Alexander’s working day was split between this and his office, which was right next to the Custom House at Lapp’s Quay. 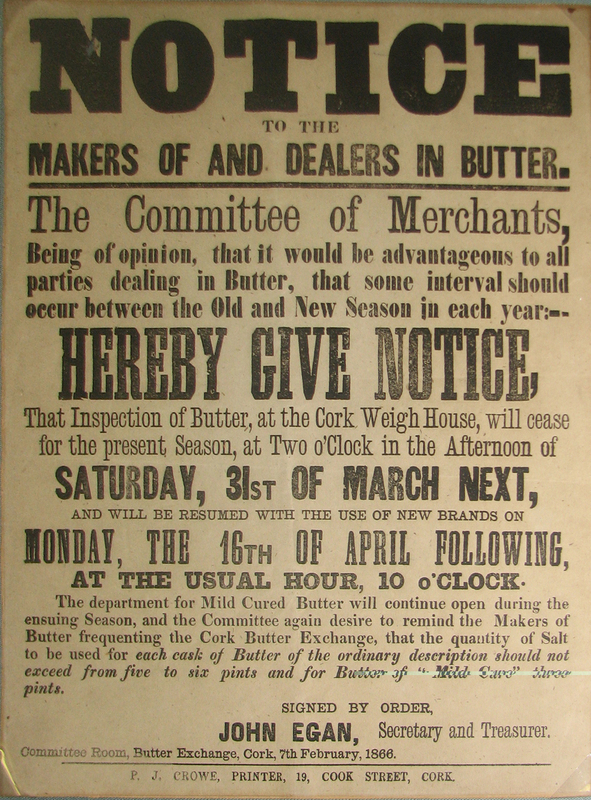 The butter market was controlled by a Committee of Merchants, and if you go to the archives in Cork, you will find his name in the minutes over many years from April 1855 onwards, chairing subcommittees and allowing his company to underwrite a loan to extend the Butter Exchange. He seems to have lived in Queenstown (originally Cove, or Cobh, and renamed in 1849 when Queen Victoria landed there; it reverted to its original name in 1922). This seems a little surprising, because Cobh is on an island with a single bridge connecting it to the mainland—and it’s 12 miles away from Cork. But it was a popular health resort and had regular ferries to Cork, and in 1862 a rail link. So he must have commuted—and presumably son David commuted to school as well. Cobh is one of the deep water anchorages in the complex estuary with Cork at its head. 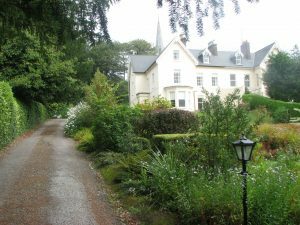 It became a popular dormitory town in Alexander’s time, and when we went to Ireland for a long weekend to research Alexander we knew that the name of his house there was Benmore, though we had no location. So it was one of those truly spectacular moments of serendipity when we saw the name on a gatepost as we were driving past. The house still exists—it’s a large semi-detached villa with a sea view and a long garden sloping down to the main road into Cobh. 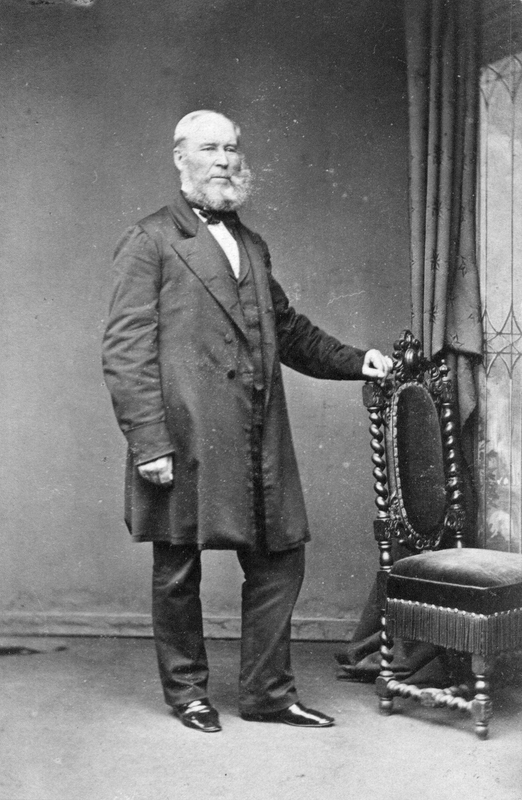 He was also a justice of the peace in Queenstown—transcriptions of the Cork Examiner between 1856 and 1876 include him among the members of the bench in their reports. The same reports also report the death by drowning of son Donald in 1863 in Australia; presumably he was a professional sailor who lost his life at sea, though that’s only supposition. They also record the birth of his grandson Donald in 1864. 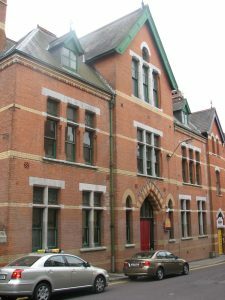 He was also a member of the Cork Harbour Board, and it’s clear that he was regarded with great respect by the local community, judging by the slightly pompous obituaries issued by both organisations after his death. 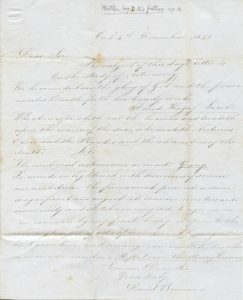 Alexander died in 1881, and the death was witnessed by his doctor, D. McCarthy, who was his son-in-law. For some reason his burial place isn’t recorded, but we know that his widow Christina moved to Glasgow to be with her other children David and Sarah; if her son-in-law was the doctor who cared for Alexander at the end it seems a surprising move to make, since one would expect her daughter Christina (McCarthy) to have been able to care for her, but again, we shall never know. Her will, by the way, was only valued at £600—which is worth about £90,000 in 2007 prices. But neither family folklore nor local newspaper reports tell us the background to the story in the next generation, which is a real shame—as you’ll see in the next chapters, it’s a plot worthy of the Forsyte Saga, and one would love to know what set it all in motion. But before we get on to them, there’s the poignant story of wife Christina, and her many sisters. Her maiden name was also Bremner, so we’ll make a short diversion to tell her family’s story.